Last week I hosted a fun week in New York City for bloggers and TV network people from Finland. We went to see Wicked on Boradway, Rockette’s at Radio City Music Hall, visited 30 Rock and the Today Show set and sat on the front row of The Nate Berkus Show taping. 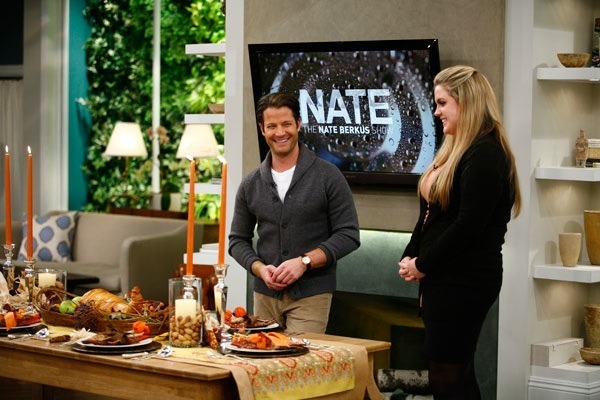 While The Nate Berkus Show just launched this fall and may not be in most people’s to do-list when they come and visit New York City, The Nate’s Show is one of my favorites and I wanted to share it with my guests from Europe. Note: the show taping was for an upcoming show, follow me on Twitter @KatjaPresnal and Facebook and I’ll let you know when the show airs where I’m sitting in the front row. Nate is on his way becoming the male Oprah the way he features human interest stories and real people in a way that it pulls all of the strings of your heart – while helping all of us to live and look better without spending a fortune. I love his hands on- approach on design and the low budget creativity he has. On yesterday’s “Ultimate Holiday Survival Guide” episode featured great gift ideas under $20 each. This Holiday season he is sending “Nate’s Crates” for deserving people, crate full of goodies for deserving people and makes over rooms “Santa style”. You can find videos of the latest episodes also online. 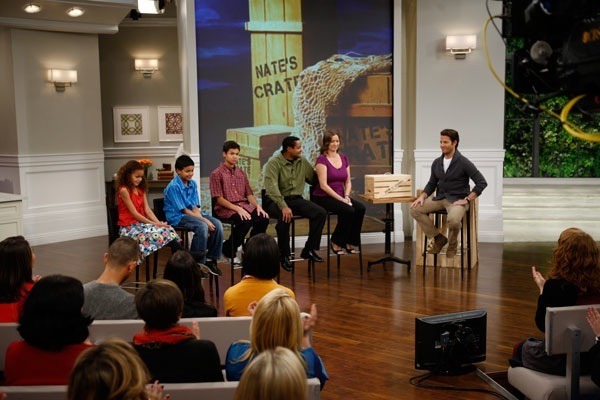 A few days after the taping I had an opportunity to interview Nate and he also gave some additional tips how to transform your home to festive in less than 2 hours for under $200 and shared his favorite spots in New York City. Katja Presnal:	Hi, Nate, it’s Katja. I was actually on your show taping this Tuesday. I sat in the front row with a couple of media friends from Finland and they were from two different TV networks and they were really excited to see your show. Nate Berkus: Oh, that’s great. Thank you. Katja Presnal:	So my question actually is that when are you going to be in Europe? When will people in Europe be able to see you? Nate Berkus: We’re working on that right now. This show is going to be appearing in Australia this December, which I know is not Europe, because I do know my geography. But the we have meetings in France and in several European countries to talk about expanding the show there, and I’m very excited about that. Katja Presnal:	My media friends are visiting New York and some of them are here for the first time. Do you have some of your favorite places where they could, for example, buy some home décor items or anything like that in New York City? Where do you shop? 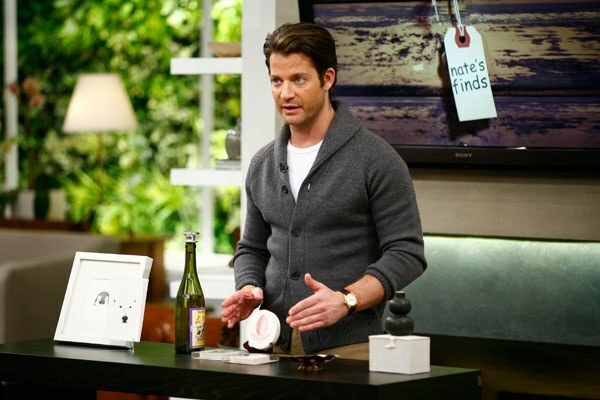 Nate Berkus: Yes, there’s a place called Showplace Antiques on 25th Street that’s incredible. It’s an antiques mall, multi dealer antiques mall. It’s best on the weekends. And there’s also the 26th Street Flea Market which is right across the street between 6th and 7th Avenues on 26th Street. Really it’s not to be missed. And then the – they should go to Williamsburg in Brooklyn which has – I can’t remember the name of the main street but I’m sure their hotel could figure it out. But it’s a real pocket of up and coming home designers and interior shops that I love to go to. Katja Presnal:	Sounds exciting, that’s exactly where we’re going to go today, afternoon, after we have seen the Rockettes. Katja Presnal:	A quick question, how can you do holiday décor for $200 in two hours? Like, if you had to go to one store or try to get everything together really quickly and you have a $200 budget, what would you do? Nate Berkus: You have to go to the dollar store and you have to spend part of your budget on candles and votives and votive containers, and then you have to go to the florist or the grocery store and buy greens and a few dozen, you know, colorful flowers, whether they’re roses or whatever really looks good, autumn flowers or whatever sort of looks good. And I love the idea of using your juice glasses or cut glass glasses, whatever you have glassware-wise, dropping votives in those, spreading those throughout the house using of them as well for small vases, and doing tightly packed floral arrangements. And mixing those in throughout your décor I think is one of the quickest and easiest ways of doing that, using what you already have. Katja Presnal:	Yes, for any holiday or party or anything, that sounds great. Nate Berkus: Exactly, exactly. And the other tip would be to buy gift wrap that is in a pattern that you love and cut it into use for placemats and – or even a table runner. Katja Presnal:	Oh, I love that. Actually, what I also do, I buy frames from IKEA and I just put gift wrap or postcards or whatever, so I have the party décor right there. Nate Berkus: Oh, that’s great. Katja Presnal:	So last time I interviewed you I asked how do you live life to the fullest but since it’s Thanksgiving and everything I would like to ask what are you thankful for right now? Nate Berkus:	Well, I’m thanking for a lot this year, but most importantly for me are the relationships that I have in my life, my family, my friends, and those are the things that continue regardless of where my career takes me. But I’m very grateful to have the opportunity to have my own daily show because I love being the person that comes into people’s home everyday and gives them information and shows people how they can live better. Katja Presnal:	Thank you so much, Nate, that’s one reasons we love you so much. Thank you for the interview. Nate Berkus: My pleasure and enjoy your time in New York.